Both couriers now have entered the holiday season’s returns cycle, which also promises to be busy. UPS on Dec. 26 projected that returns would peak at 1.4 million packages on Jan. 3, up 8% from a year earlier. Consumers returned more than 1 million packages a day to retailers in December, UPS said. Nailing the holiday season has become critical for UPS, which in 2017 estimated it would deliver 750 million packages between Thanksgiving and New Year’s Eve, or almost double FedEx’s total. In 2013 UPS failed to deliver some packages before Christmas, sparking criticism from Amazon.com Inc., a key customer. A year later, UPS overspent on temporary workers and facilities and watched those resources sit idle. UPS’s home market of Atlanta was a trouble spot, and several media outlets showed images of angry consumers lined up outside of area facilities after Christmas. Earlier in the season UPS acknowledged problems around Atlanta and it used some office workers to help clear the backlog. Denver was another problem location early on. Memphis, Tennessee-based FedEx had “another record-breaking peak season” and delivered “outstanding holiday service,” said spokesman Jonathan Lyons. UPS hasn’t said how much it paid in overtime. At least some employees had to work on Dec. 24, which isn’t a work day for most employees. The company should be able to recover some of its overtime costs with a new 27-cent surcharge it imposed on packages shipped during certain weeks and with higher fees for items by air, said Satish Jindel, whose firm publishes the ShipMatrix survey. Teamsters General President James Hoffa criticized UPS Chief Executive Officer David Abney for failing to hire or train enough employees. The company responded that it had adopted a 70-hour workweek previously and that during the week of Dec. 11, 88% of drivers worked less than 60 hours. 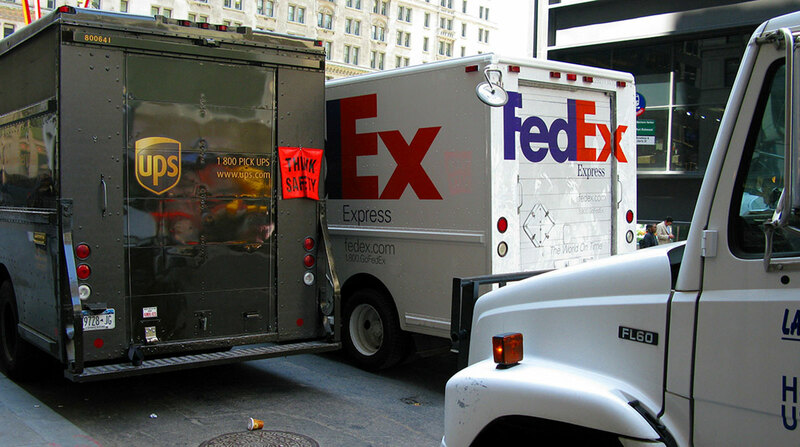 UPS gained less than 1% to $118.91 at 2:42 p.m. in New York, while FedEx was little changed at $249.42.